OK, we get it. When the world ends, resources will be scarce, plants and animals will die out, human beings will eat each other and everyone will dress like a tramp. Years of popular fiction - games, novels and films - have rammed this home to such an extent that it blankets the world of pop culture like its own sort of nuclear winter. It's a shroud under which I Am Alive runs around doing interesting things for the five or six hours it takes to finish. 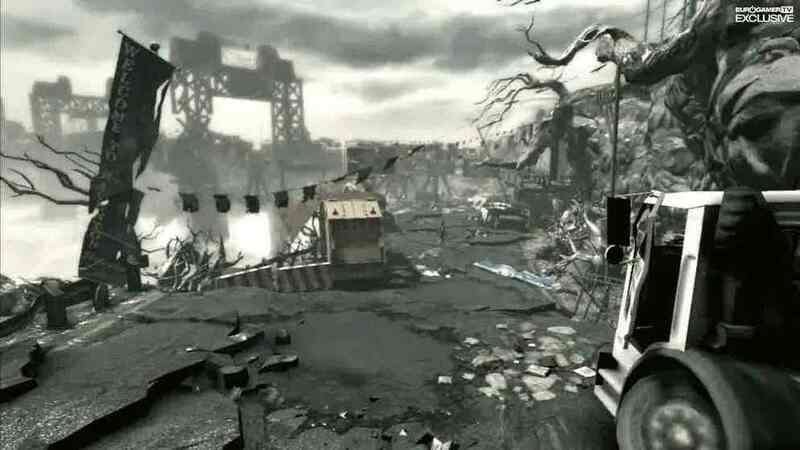 As one of only a few scattered survivors of an apocalyptic event referred to by everyone as The Event, you start the game by arriving at the fictional American city of Haventon where you used to live with your wife and daughter, following a long trek from coast to coast to reach them. Unfortunately, the city is in poor shape and your family home is deserted, so you set out through the streets looking for signs of life, recording a series of video messages on your camcorder which allow developer Ubisoft Shanghai to advance the plot. Right from the start, resources are scarce - even your own health and stamina. You do have the classic video game hero's prodigious climbing skills, allowing you to scale twisted skyscrapers and collapsing suspension bridges like there's no tomorrow (which I suppose there isn't), but you have to take a breather quite often or else you will do yourself serious damage and potentially collapse and die. You also get a gun, and a machete for close encounters, but you rarely have much ammo at all, so you have to be quite wily when confronted by desperate scavengers. 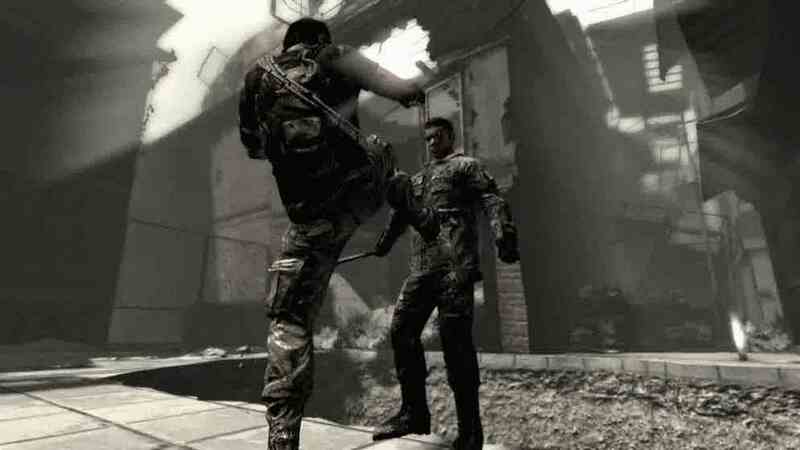 Faced with a group of three enemies early on, you wait for one to approach before slicing his throat without warning, then force another to his knees at gunpoint and pistol-whip him into unconsciousness, before shepherding the remaining bad guy towards a precipice and booting him off. They weren't to know your gun was empty. I Am Alive doesn't add a lot to the post-apocalyptic conversation. It's mostly set against a backdrop of ideas you've read or seen before - so much so at times that you start to check them off. Oh look, there's the ship stuck in the middle of a city from The Day After Tomorrow, and here's a bit from The Road, and here's a bit from I Am Legend. It's rendered in every shade of grey and brown, filled to the brim with debris and decay - and occasionally quite stunning, like a descent through a train carriage hanging over a crevasse. But it rarely replaces the memory it's borrowing from your bookshelf. What I Am Alive lacks in originality, though, it makes up for in execution, because it really nails the tone. The developers aren't shy about how horrible things will probably be when everything turns to rust and ash, and they usually express their thoughts using the 20 other survivors you can optionally locate and save throughout the adventure. One of them is being used as bait to lure you in, another wants a last cigarette before dying and one of them - a young girl - is bound up and about to be raped when you intervene. It's often chilling, but never gratuitous, even when things get really serious. At least you're not always alone. I won't explain what happens, but not everyone you meet is an adversary or a bonus objective. One of the best characters is a little girl called Mei, a toddler who is brought to life on screen by superb animation and voice acting. The writing is clichéd (at one point, someone tells you to hang onto your dignity and integrity because that's all we have left) but it's all part of a convincing scenario. Before long, you curse yourself for having to use a bullet, no matter the situation. You're really there. I Am Alive is not completely without its own ideas either, like a thick, choking dust that storms through the city early on and remains for the rest of the game. Once the dust falls, as well as bluffing and climbing your way around old hospitals, hotels and unfinished apartment blocks, you're constantly balancing the need to push forward against the need to get above the cloud by climbing drainpipes, scaffolding and advertising billboards. If you descend to street level then you can't afford to stay there for long, because exposure saps your stamina and eventually your health. With that said, on occasion your will to live may also be tested outside the game world by some of the mechanics and paraphernalia. The items you collect are always ringed by halo effects, the game constantly prompts you about which buttons to push, and there's an extra lives system that seems to exist purely to increase longevity (without really managing it). It all takes you out of the experience, and good ideas like the fight-or-bluff confrontations don't evolve except for the addition of more and tougher enemies. There's also a slightly bizarre and incongruous high-score system, which may be another attempt to encourage replay value. This isn't a game that needs that sort of thing. It would have been nice if Ubisoft Shanghai had had the courage of its convictions, left it out and let the adventure stand for itself. This is about survival. It's not about whether I got 100 per cent. Perhaps I sound a bit detached about I Am Alive. I think that's probably because it can be very bleak, and like the best survival fiction, that's also why you really should experience it. Everything isn't going to be OK. The last bits of humanity are pretty much going to hell all around you and you're just a guy with a couple of bottles of water and an empty gun. Maybe you will escape with your dignity and integrity, but you probably won't. You and the game know it. It's not a new message, but I Am Alive delivers it as well as anyone ever has in a game.